The school board sought to remove the Title IX claim (and another claim not relevant), arguing that this particular claim was prohibited at this point by the statute of limitations because it didn’t relate to the original filing. The doctrine of relation back is a principle that something done today is going to be treated as if it were done earlier. This doctrine is applicable under certain circumstances, and can be critical in cases where there is a question of whether the statute of limitations has run out. 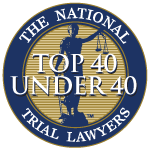 The statute of limitations for a personal injury lawsuit in Florida is four years. One can not add additional claims to a previous claim outside the statute of limitations unless the relation back doctrine is applicable. There were two general schools of thought from the courts on this issue. The first was that if the amendment set forth a new and distinct cause of action from the original pleading, the relation back doctrine could not apply (Florida’s 3rd District Court of Appeal). The other theory was that so long as the initial complaint gave defendant fair notice of the general factual scenario that underpinned the claim, amendments stating new legal theories could relate back (Florida’s 2nd and 5th District Court of Appeal). The Florida Supreme Court had previously noted that precedent generally held the relation back doctrine couldn’t be applied when the amendment seeks to bring an entirely new cause of action after the statute of limitations has expired. Further, the trial court should have discretion because it still has to determine whether the claims arise out of the same conduct, transaction or occurrence. The goal of that precedent is to protect defendants from unusually long delays from unexpected and stale claims. Here, the school board argued against the relation back doctrine citing a number of older cases pre-dating the modern relation-back rule that was adopted in the late 1960s. In the trial court’s order in this situation, the court ruled to dismiss the Title IX claim because the original complaint alleged the school board acted with negligence and breached its duty, while the amended claim alleged acted with deliberate indifference. The Florida Supreme Court ruled that even though the Title IX claims were more specific, the factual underpinnings of the original claims were similar enough to the new claims to put the school board on notice that it might be held liable for whatever harms and personal injury came as a result of the teacher’s alleged wrongful conduct.